Contemporary art historical scholarship often reflects upon the functionality of art. While DADA artists of the twentieth century elevated everyday objects, as seen in Marcel Duhamp’s Fountain, to a higher fine art status; artists or workshops throughout history have sought to make ordinary materials-plates, vases, etc.-visually extraordinary. 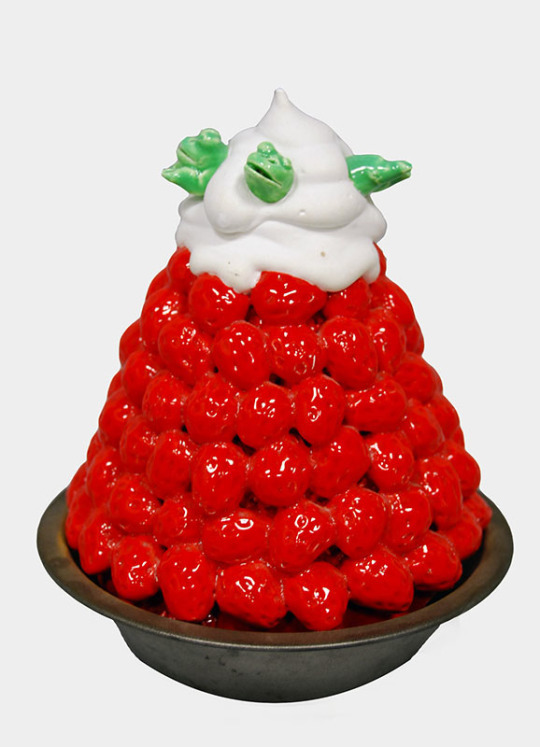 David Gilhooly, Strawberries and Cream and Frogs, Jonathan Novak Contemporary Art. Click to inquire. Contemporary art historical scholarship often reflects upon the functionality of art. While DADA artists of the twentieth century elevated everyday objects, as seen in Marcel Duhamp’s Fountain, to a higher fine art status; artists or workshops throughout history have sought to make ordinary materials-plates, vases, etc.-visually extraordinary. FADA’s comprehensive inventory of modern and contemporary art highlights major artists’ inheritance of these forms, as seen in the mediums of tapestry and ceramics. 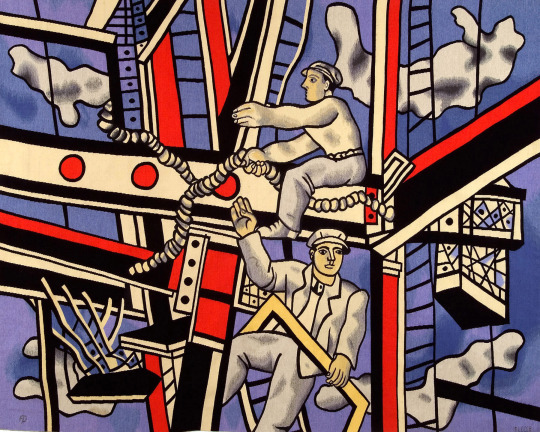 Fernand Leger, Anciens constructeurs (Les Constructeurs sur fond bleu), Tapestry, Jane Kahan Gallery. Click to inquire. Fernand Leger’s tapestry Anciens constructeurs (Les Constructeurs sur fond bleu) in the collection of Jane Kahan Gallery, is a marriage of a Renaissance tapestry’s purpose (which kept castles insulated) and a modern aesthetic. Pablo Picasso, Face no. 202, 1963, Ceramic, Galerie Michael. Click to inquire. 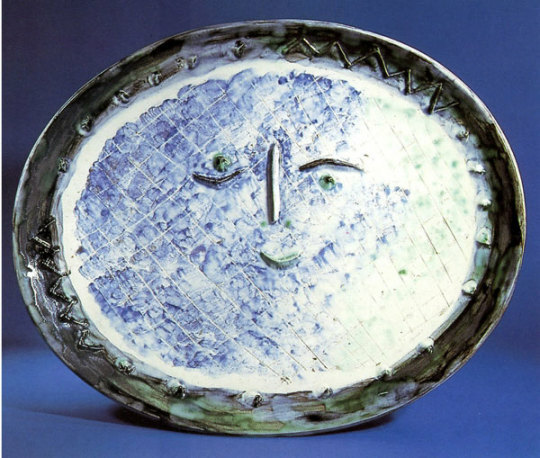 Pablo Picasso, AR 277 Face in Oval, Ceramic, Rosenbaum Contemporary Gallery. Click to inquire. 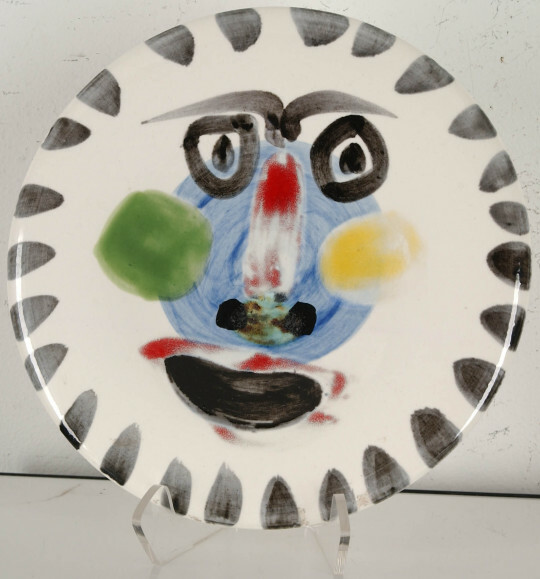 Similarly, Picasso ceramics, in many of FADA gallery inventories, replaces a plate’s original function to that of an artwork. While modern and contemporary artists may be seen today as deconstructing the physical elements of an actual painting, creatives throughout time have always sought to imbue meaning into an object through decoration. Franz Bischoff, Ceramic Vase with Grapes, Ceramic, George Stern Fine Arts. Click to inquire. 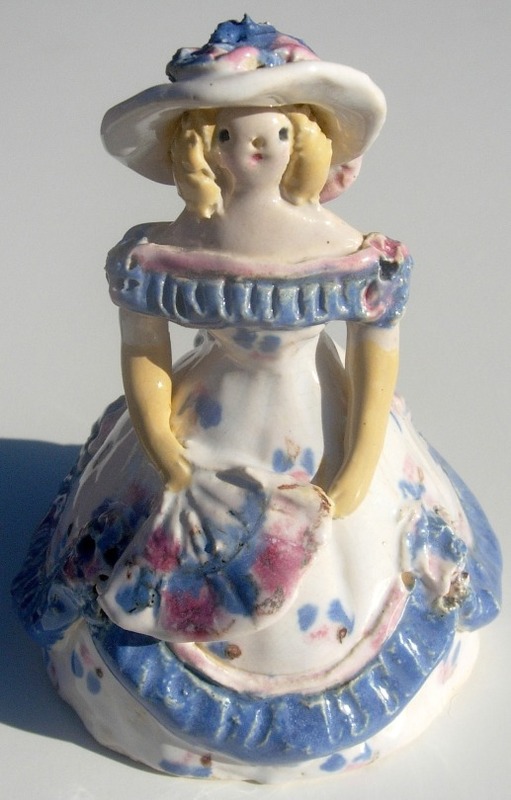 Mary Frances Overbeck, A Lady, Ceramic, Eckert & Ross Fine Art. Click to inquire.